3240 pieces of semiprecious stones hand shaped & inlaid in this beautiful art marble tray. 4. Jasper --------- Brown Stone. 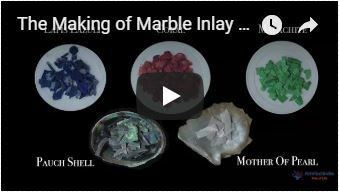 The Marble Inlay Wall Decorative Platter will be delivered by Fedex or Dhl free of cost door to door.